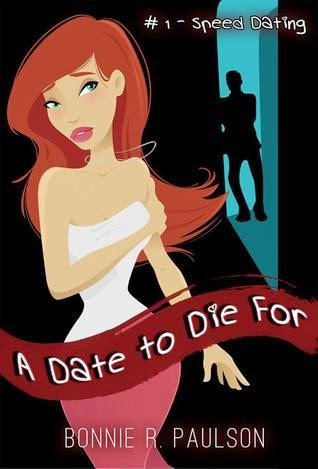 When dating ends in deaths and threats, Molly might be better off staying single. During one of Molly’s weekly meet-ups with her girls at their regular bar, Molly succumbs to the duress of her two best friends and begins the aggressive dating they sign her up for online where the pairings are questionable… and dangerous. After the first evening of speed dating, Molly finds an item from her past that raises questions… and danger. When the number of deaths surpass Molly’s goodnight kisses, her past pushes into the present and Molly loses much more than she gains. A stalker has focused on Molly and refuses to let anyone else date her. But she can't be single for the rest of her life. Is Molly doomed to a life of singledom wrapped in fear - or will the stalker turn on her next? Hold onto your hat because with this 7 part series, you are in for one heck of a ride. When I first started reading this series, I wasn't sure how I was going to enjoy it. The next thing I knew, I'd finished episode 5 and was scrambling to upload the rest of the series to my kindle. Then, I didn't put it down until I'd finished it. The story is fast paced and you really get into Molly's head and can feel her fear and emotional rollercoaster. I don't want to give anything away, so I'm just going to say that Bonnie Paulson has never let me down and though I was at first sceptical, she didn't with this series either!